In follow-up to a recent entry (Excalibur-Lughnasadh-Luchot Candle Dressing) and in documentation of synchronous events leading up to Lughnasadh (traditionally observed tomorrow), I note the synchronicity of the the shattering of the first set of luchot (tablets of the commandments received at Sinai) with today's plane crash of business travelers en route to a meeting with a glass company. As discussed in the linked entry, Luchnasadh is associated with and joins together both the first and second sets of luchot in its symbolism. The harvest of Lughnasadh is not shattered, and consequently, neither are the luchot associated with Lughnasadh shattered despite the presence of the psi energy carrying the 'code' to shatter 'that which came down' (as loosely evidenced by the crash of the plane on landing en route to a glass company). At least eight people perished when a small charter jet crashed on landing Thursday in stormy, windy weather in Minnesota. Two people were unaccounted for. The passengers were business travelers on their way to meet with a glass company that won a contract at the new World Trade Center site. Initially, there was one survivor, but that person died at the hospital. The airport said the plane, en route to Owatonna, Minn., from Atlantic City, N.J., crashed at the end of the runway after landing in severe thunderstorms, according to MyFOX Twin Cities. Ten people were supposed to be aboard the Raytheon Hawker 800, and authorities were looking for the two who couldn't immediately be located. Officials said they may never have boarded the plane. The charter jet went down in a cornfield northwest of the airport, scattering debris along a gravel road, Sheriff Gary Ringhofer said. The wreckage was not visible to reporters because tall corn obscured the crash site. Elizabeth Isham Cory, a Federal Aviation Administration spokeswoman, identified the charter's owner as East Coast Jets Inc. The Janesville, WI GazetteXtra reports today that in June a man had threatened to kill all the witches in town by detonating the town's watertower. Although he was charged with two felonies and two misdemeanors, the man can’t be accused of having a healthy curiosity. The water tower is believed to be a meeting place for witches, according to www.weirdus.com, and residents once called police on Halloween after seeing people in robes performing a candlelight ceremony next to the tower. Four people have died after reading a secret book that is now kept locked in the university’s library. The cemeteries in Whitewater form a triangle. The former Morris Pratt Institute was built to communicate with spirits. And the city has a series of underground tunnels. So, when the man was arrested inside the city’s water tower that night, he may have been on a witch hunt. He was charged with felony criminal damage to property, felony battery to a public officer, misdemeanor carrying a concealed weapon and misdemeanor disorderly conduct. He has pleaded not guilty to the charges, according to court records, and the case against him is pending. The man who opened fired with a shotgun during morning services this past Sunday at a Unitarian Universalist church, murdering two and injuring seven, did so in conseqence to a toxic hatred of the church's support for liberal policies. He really hated liberals. He wanted them dead. So, he murdered some. KNOXVILLE, Tenn. (AP) — An unemployed man accused of opening fire with a shotgun and killing two people at a Unitarian Universalist church apparently targeted the congregation out of hatred for its support of liberal social policies, police said Monday. "It appears that what brought him to this horrible event was his lack of being able to obtain a job, his frustration over that and his stated hatred of the liberal movement," Owen said at a news conference. Foxnews reports, "Authorities said they are investigating the shooting as a possible hate crime." A total solar eclipse is observed this friday August 1 in parallel with Lughnasadh (the witches' new moon sun sabbat). A solar eclipse occurs when the new moon passes between the sun and the earth. A solar eclipse can only happen with a new moon, and when the moon and sun are in conjunction with respect to their positions in relationship with the earth. The judge Shimshon (Samson) has parallels in Torah to both the sun (shemesh) and to foxes. A nazarite of the Divine (one who has taken a vow of self-consecration to the Divine for a designated period of time), Shimshon uses foxes in an attempt to destroy the Philistines. In the end, Shimshon himself is destroyed. How do the Shimshon parallels parallel with the events of this week? First, on friday there occurs a total solar eclipse of the sun, where the sun is linked to the name of Shimshon. 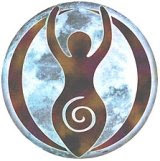 Thus, the sun's masculine power will be eclipsed by the feminine power of the moon. MORRISTON, Fla. — Authorities say a Levy County, Fla., man accidentally shot his wife while trying to hit a fox that attacked her. The couple told deputies they spotted an animal in their yard Friday morning and went outside to see what it was. The fox bit the woman on the left leg and wouldn't let go, so she told her husband to get a gun. The man fired a .22-caliber rifle seven times, killing the animal but also hitting his wife in the lower right leg. The woman was taken to a nearby hospital for treatment. The way that our Navi explains the Navi Sheker as the fox, reminded me of the Gemara at the end of Makkos. There is a story of Rabbi Akiva and his friends walking post-chorban and seeing a fox run through the destroyed Temple. Rabbi Akiva laughs while everyone else cries. This idea, of a fox running through a chorban is that the fox is looking for his scrapes of food and resembles the weak that remain. Thus, the navi sheker feeds off the holiness of the tattered Temple (Divine Feminine), plucking out its meal from the remains like notes from the wall. Shimshon, the judge who, in an effort to destroy the other, followed the advise of the false prophets in his milieu, and found he himself destroyed in the end. 32 Paths of Chochmah (Wisdom) according to the Gra. 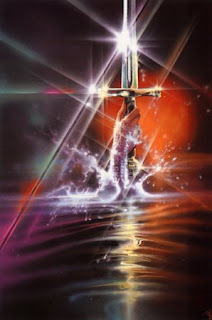 An interesting kabbalistic connection comes to light when considering Excalibur's legendary journey from the mystic water of the Lady's Lake into her mighty hand. The channels linking Chochmah (Wisdom, symbolized by water, #2 on the diagram) and Gevurah (Strength, symbolized by the left hand feminine power, #6 on the diagram), according to the kabbalah of the Gra, is characterized by two Hebrew letters - zayin (symbolized by a sword, channel 2-4) and yud (symbolized by a hand, channel 4-6). Thus, the mysticism of Excalibur and the Lady of the Lake fits perfectly with the 32 kabbalistic paths of Chochmah (Wisdom) according to the Gra. The combined gematria (numerology) of zayin-yud is 17, the same gematria as 'tov' meaning 'good'. In follow-up to my previous entry (Excalibur), I note that in Celtic legend, Excalibur comes from and returns to the mystically liminal Lady of the Lake. In the Celtic world, springs, lakes and marshes are liminal sacred places that are intermediary loci between, among others, the living and the dead. When Arthur’s legendary and to some extent magical sword Excalibur is returned to the Lady of the Lake, this is most likely an excerpted old echo of a longstanding Celtic votive ritual. Examples abound in Europe and the British Isles of just such votive offerings. Votive offerings exist in Torah as well as in Celtic legend. A votive offering is a neder. The most powerful kind of word that a person can utter: a neder, “vow.” A neder is an extraordinarily powerful kind of word, because it is not a word of description. It is a word of action. Uttered words roll out into the world of action, for bad or for good. A neder (votive offering) is an extraordinarily powerful 'word' of action, able to overcome bad words of description. In follow-up to entries from earlier today, first where I mentioned that I had slain a rampaging bull with a spear-like weapon (unclear initially when describing the dream as to whether the weapon was a knife or a spear) and second, where the ability to slay the bull and prevent fatalities was described as coming through the channel of chochmah to gevurah, I note that perhaps I was unclear at first as to the exact form of the weapon used to slay the bull because the weapon was neither a knife nor a spear, but rather, it was a sword. Interestingly, the sword Excalibur comes from water (chochmah). Excalibur is one of three of King Arthur's weapons - the other two are a dagger (knife) named Carnwennan and a spear named Rhongomyniad, the two fuzzy forms (in the dream, The Bull And The Bulldozer) which now come together from the water (of Chochmah) into the form, Excalibur (through the clarification, Provoking Divine Mercy). Thesis - Antithesis - Synthesis. Grand Rabbi Mayer Alter Horowitz Shilta, popularly known as the Bostoner Rebbe of Jerusalem, commented on the first despicable tractor terrorist attack in Yerushalayim and said that we are considered like "sheep to be slaughtered." The Rebbe Shlita hinted that the terrorist attack was a result of the abomination parade that caused desecration of Yerushalayim. The shame parade took place in the Holy City Jerusalem June 26th. Six days after the abomination parade, we witnessed the first bulldozer terrorist act in the streets of Jerusalem, killing 3 people, HI'D and injuring dozens. It's not always easy to see Divine Judgment, but this one can be very easily seen: TWENTY SIX (gematria YKV"K) days after the abomination parade inside the Holy City, the city of Dovid Hamelech [King David], on King David Street, the same street the abomination parade took place, the second horrific bulldozer terrorist driver attempted to murder Jews on King David St. wounding 23 people. Indeed, I don't see Divine Judgment. I see Divine Mercy at work in this latest incident. Twenty-six days after the parade inside the Holy City, a second bulldozer attack failed to murder anyone like sheep at a slaughter. Instead, a bull was slaughtered by spear in my dream, twenty-six days after the Holy City parade. Now, while the first bulldozer attack, as Dreaming of Moshiach points out, occurred six days after the parade and is therefore connected to the masculine letter vav (the bull and the channel from keter to FEMININE binah), the second bulldozer attack which occurred (YHVH) twenty-six days after the parade is connected to the feminine spear of my dream last night and the letter zayin (the spear and the channel from chochmah to FEMININE gevurah). Witness that. The feminine powers (binah and gevurah) defined and gave life to the two bulldozer events of opposite outcomes. אדמה (Adamah, The Earth) Malchut bet David. The Divine Feminine establishes forever unity of the Divine soul (aleph, א) with the earthly body (dam, דם) through five malchuyot (ה). I killed a rampaging bull that was attacking people (who were coming to my house) outside in my house's yard. No one whom the bull had tried to kill (including myself) was killed. I can't remember in the dream if I shot it or speared it. I am pretty sure I speared it in some manner. None were killed from today's bulldozer rampage in Jerusalem, the second one this month. Sixteen people were wounded, one of them moderately, as a bulldozer driver went on a rampage in central Jerusalem Tuesday afternoon in an apparent attempt to recreate the terror attack in the capital earlier this month. The vehicle reportedly left a construction site near the Yemin Moshe neighborhood and set off towards Liberty Bell Park (Gan Hapa'amon), near the corner of Keren Hayesod and King David streets. It drove a distance of approximately 160 meters, attempting to overturn a bus and crashing into four other vehicles - one of which it flipped over. The man was then shot dead by a civilian and a border policeman. The bulldozer driver was shot and killed by two individuals with a firearm. In my dream, the bull was killed by me, one individual with a spear or long knife. The connection between my dream (while I was 'dozing') and the news event is the concept of a 'rampaging bull' (-dozer) producing no fatalities. Scribal oddity of two 'n's as found in Torah scroll (shown aove). The Celtic Ogham alphabet of the Druids is called Beth-Luis-Nuin. Through designating the Ogham alphabet beth-luis-nuin, in some manner then, the three letters (beth, luis, nuin) call out the soul of the Ogham into active creative manifestation. In other words, the letters symbolize the three creative rays of Awen, and the creative energy of the Divine Feminine known in kabbalah as hashra'ah. From the perspective of a Jewitch, beth-luis-nuin have correspondences to the Hebrew letters Beit-Lamed-Nun. In Torah, beit-lamed-nun symbolize the soul of Torah. Beit-Beth, with a 'b' sound, is the first letter (בְּ) of the first word 'bereshit' (בְּרֵאשִׁית) in the first book of Torah, Genesis (called in Jewish tradition 'Bereshit'). The six letters of the word 'bereshit' can mean 'with six'. Lamed-Luis, with an 'l' sound, is the last letter (ל) in the last word 'Yisrael' (יִשְׂרָאֵל) in the last book of Torah, Devarim (Deutereonomy). The word "Yisrael' is a mystical codeword for the collective soul of humanity to whom Torah belongs. 'Torah' is a mystical codeword for the 'keys to creative messianic consciousness'. In the Hebrew language, the letters lamed-beit spell the word לב, pronounced 'lev' (a hard beit is pronounced 'v', a soft beit is pronounced 'b'), a word meaning 'heart'. The 'heart' of Torah, comprising the soul of Torah, symbolizing the entire Torah, from the last letter to the first letter, the alpha and the omega, speaks forth the realization of humankind's messianic potential and inherent Divinity. Nun-Nuin. 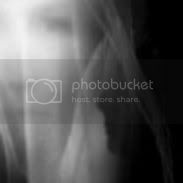 The messianic and Divine consciousness of humankind is symbolized by the 'n' sound, represented actively by the Hebrew letter nun and the Ogham letter nuin. Two letters with the 'n' sound comprise a significant and unique scribal oddity found in Torah. The two odd 'n's are called nun hafucha (inverted nun, like an introspective 'n' among the Hebrew alphabet) and nun m'zuneret (isolated nun, like the 'n' among the Ogham alphabet set apart from the Hebrew alphabet). Between the two n's are set apart two verses (Numbers 10:35-36) within the midst of the entire Torah. The two verses are said to comprise a link to an entirely new inner arrangement within Torah, one which will be revealed during the golden age of messianic consiousness among humankind. Taken together, with six letters from both the Hebrew and Ogham alphabets, are three cauldrons of Torah creation letters called forth. Brewing within the three cauldrons of Torah creation letters is the birthright of humankind - Divine messianic consciousness. The heart of Torah is the heart of the Ogham. Hebrew and Ogham (shefifon) are elucidations of the same root soul (serayah) of the Divine soul of humanity. With six letters (beth, beit, luis, lamed, nuin, nun), through three cauldrons (of emanation, creation and formation) is the entire atzilutic-messianic Torah called forth and made manifest. I created this small slideshow for my CovenSpace. In follow-up to an earlier entry (When All Else Falls, A Claddagh Remains), here is a funny 1999 video lifted from DovBear which illustrates how great a gulf can be. 8 astrological points in zodiac houses associated with elemental fire signs. An interesting snippet from a long series of interwoven dreams this shabbat morning - I was facing two skyscrapers. My vision was able to penetrate the concrete and steel of the buildings to see inside each of them. On the top floors of the skyscraper to my left was a woman. On the top floors of the skyscraper to my right was a man. They were both on the same "level" of their particular skyscraper. My impression was that the man and woman were husband and wife, but that neither could reach the other because each was trapped in some way within the structure of their respective skyscraper. They were not yet together, though they were "married" spiritually. All of a sudden, the skycrapers started to break apart as if in an earthquake. The left arm of the woman outstretched through the crumbling concrete and steel outer wall toward the place of her husband, and the husband outstretched his right arm toward the place of his wife through the crumbling concrete and steel wall of his skyscraper. Neither could see the other. Each perceived the presence of the other "across the gulf" with inner vision. As their arms were feeling out into empty space, all of a sudden their arms began to elongate. Though each initial reach had met with empty space, neither was willing to give up reaching the other. Their singleminded focus was not on escaping the destruction, but on making contact. The world may collapse around them, yet the only thing that mattered was finding and grasping the hand of the other. As their outstretched arms began to elongate even more, a small child appeared suspended in midair between them. Through this floating child, their arms met and wove around the child, their hands clasped, and they all became stabilized against collapsing along with the collapsing skyscrapers. They could all now fly. The couple no longer needed the "support" of the skyscrapers, which had fallen away and disappeared. 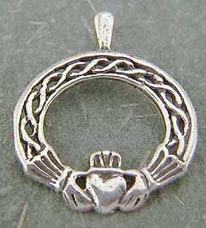 The dream symbolism reminds me of a claddagh. Well, I soon have an out of state interview for an MDS (Minimum Data Set) Coordinator position. I've also assembled the evidence to support my excellent job performance, which includes a graphical analysis of the facility's CMI (case mix index - an index of financial signifiance in Indiana) "before" and "after" I was employed as its MDS Coordinator. The graph demonstrates quite clearly my "turnaround accomplishment", taking the facility's CMI from a significant negative trend (with a slope of -0.024 CMI points per quarter) to a significant positive trend (with a slope of +0.031 CMI points per quarter). The slopes may "look" like small numbers in this prose post, but when the CMI range is 1.06 (the state average) - 1.20, the slopes (rates of change) are quite impressive. What is equally impressive is how the turnaround accomplishment translates into dollars. Over the course of 1 year, my positive trend translates to $47,151.00 more revenue! Over the course of 1 year, the negative trend prior to my employment translates to a loss of $36,504.00. These are conservative approximations. There are other ways to calculate the approximations which produce similar results. I've also assembled proof of our 100% EDS (electronic data systems) audit, validating the RUG (resource utilization group) scores which provide the clinical data to support the financially driven CMI. For example of clinical data which support RUG-based reimbursement, if I had claimed an IV (intravenous medication) as a clinical intervention for which the facility could be reimbursed, I had a copy of the medication administration record to prove that the resident was indeed administered the IV. In addition to the reimbursement turnaround and 100% EDS audit accomplishments, I also have had, to date, no delinquent assessments. I also have proof of that. As this post suggests, I like to be sure that the data upon which reimbursements are based can be easily proven true and valid. One primary reason I am leaving my current position is not because I am being paid the salary of a nurse with 5 years experience (when I am a nurse with over 20 years experience), but because our corporate QA nurse no longer allows me and has directed me not to attach reimbursement proof to the MDS assessment. This makes me very nervous. My signature goes on the MDS assessments which are transmitted to the state and federal government for reimbursement purposes, not hers. She has no investment in proving the validity our reimbursement data, I do. Thus, I am seeking other employment.